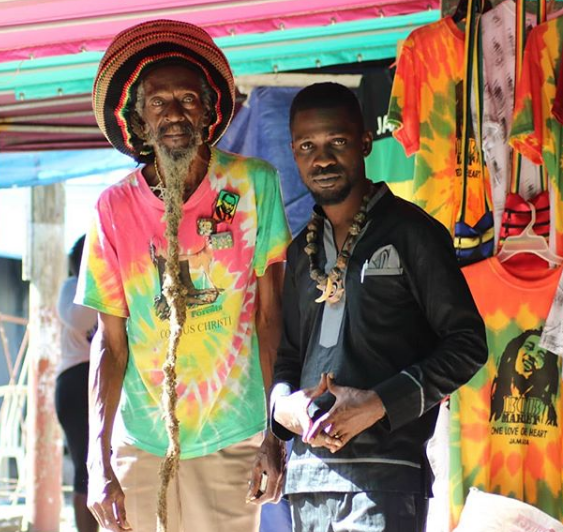 KINGSTON – Ugandan musician and Member of Parliament Robert Kyagulanyi Ssentamu aka Bobi Wine put up a powerful performance at the 2019 annual Rebel Salute Reggae Festival on Saturday (January 19, 2019) in Jamaica. Bobi Wine stepped on stage wearing his red beret and maroon African wear and performed live alongside backup singers. The Firebase Entertainment singer kicked of his performance with philly Bongole Lutaaya’s “Born in Africa” and thereafter perform his songs like “Time Bomb”, “Bad Man from Kamwokya”, “By Far” and “Freedom”. Bobi Wine is so far the first East African artiste to grace the stage. The annual Rebel Salute event is the biggest reggae festival in Jamaica, which started in 1994 to celebrate the life of Jamaican reggae deejay Tony rebel. The 2019 edition of the even also performances from Queen Ifrica, The Wailers, Wayne Wonder, Wayne Marshall, Dwan Penn, Luciano, Patoranking, Koffee, Mr. Vegas, Tony rebel, Bounty Killer, Jah Cure and Fantan Mojah among others.